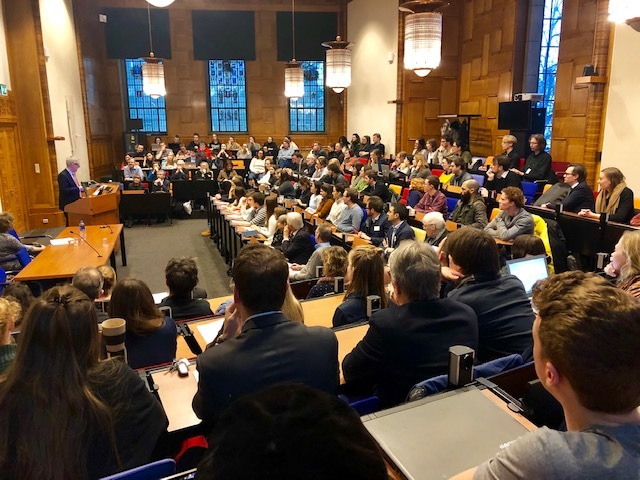 Addressing an invited audience at the University of Maastricht (UM), CEU Rector and President Michael Ignatieff spoke on ‘Open Societies and Ordinary Virtues.' The values of open societies – democracy, rule of law, justice, tolerance, respect for knowledge – are endangered, increasingly under threat in Europe and across the globe. Making the point that that constitutional democracies are rarely abolished overnight, the CEU President marked today’s democratic declines as incremental, with opponents of open societies targeting courts, media, independent institutions and NGOs, and academics and universities. According to Ignatieff, the challenges to the key values call for a reconsideration of these very values, and of the role of academics in protecting and upholding them. Michael Ignatieff was awarded an Honorary Doctorate by the University of Maastricht on January 25, 2019. Also honoured at the ceremony was Indian novelist Amitav Ghosh. Previous recipients include Frans Timmermans, First Vice-President of the European Commission, former president of Germany Joachim Gauck and Wikipedia founder Jimmy Wales. The UM was one of the first universities to endorse the slogan: I stand with CEU.